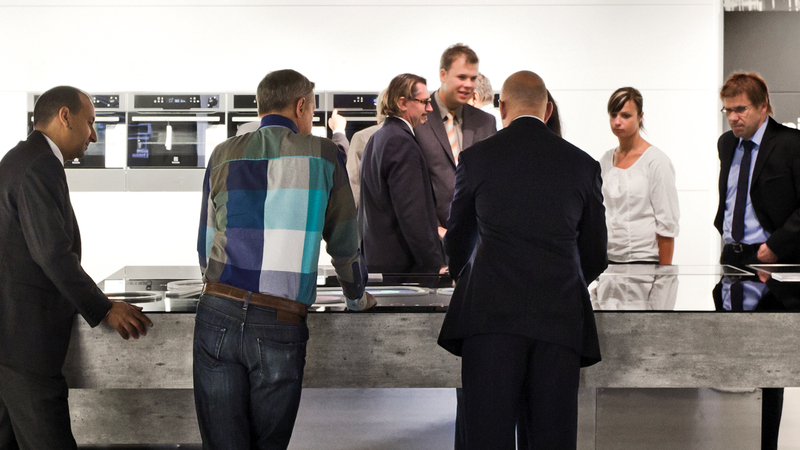 At the Küchenmeile 2012 the visitors can learn about the cooking experience with the Inspiration Range by Electrolux without ruining their clothes thanks to a refined mediatecture. 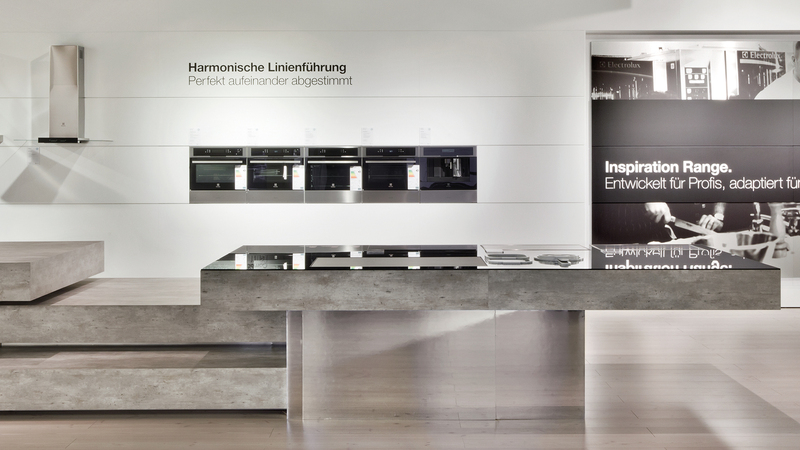 The Electrolux brand space at the Küchenmeile 2012 creates a connection between material, light and space with infotainment, multimedia and interaction. 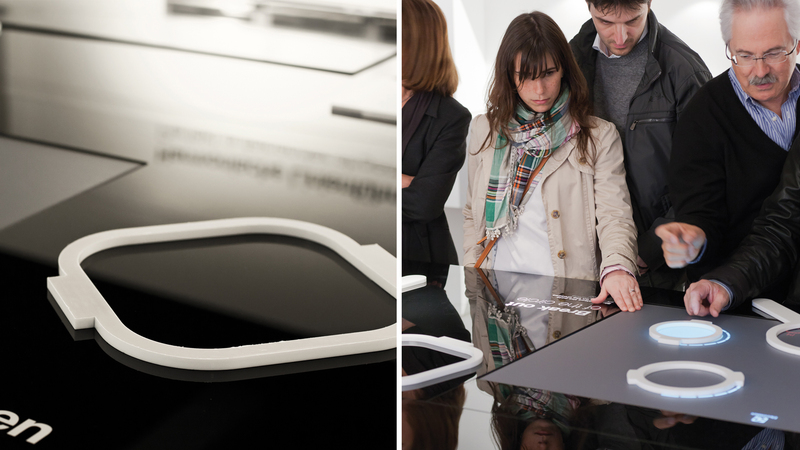 The contents and innovations of the brand Electrolux are presented and communicated in a simple but aesthetic way. Core element is a mediatecture in the centre of the brand appearance. 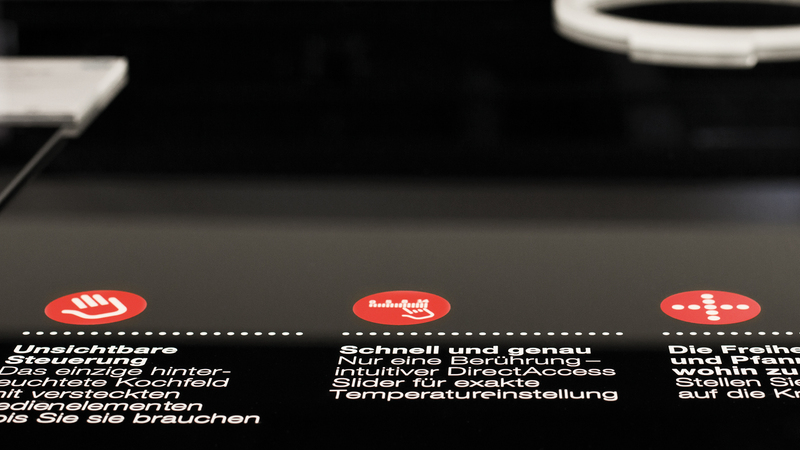 An interactive station, which is integrated into the architecture, presents the innovative hobs by Electrolux. 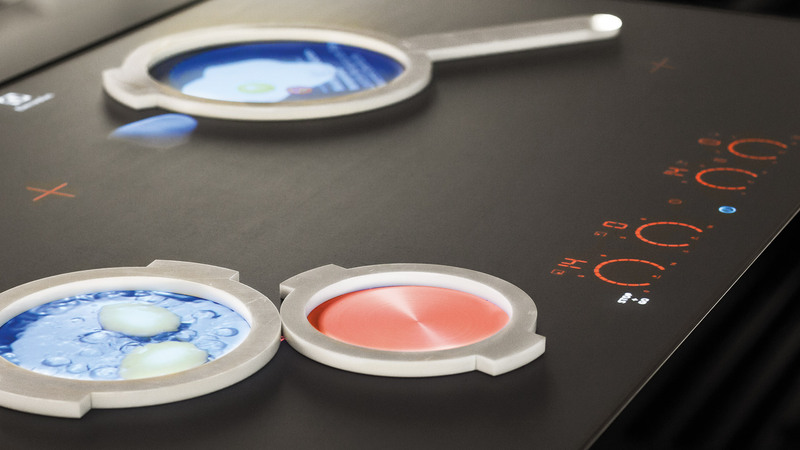 There are screens on massive elements in stone optics, which interactively and true to details show the features of the InfinitePure Hob by Electrolux. Here, visitors learn more about the special product features during a real cooking experience achieved by placing different pot and pan elements onto the hobs. Inside the elements visitors then see different cooking scenarios, which underline the product’s advantages, e.g., how fast water starts to boil in the pot or how simple it is to remove food rests. Additionally, the elements can be shifted, in order to present the innovative induction technology with pot recognition. Electrolux Mediatecture, Küchenmeile 2012 from D'art Design Gruppe on Vimeo.